 Trello is used by thousands of businesses every day. 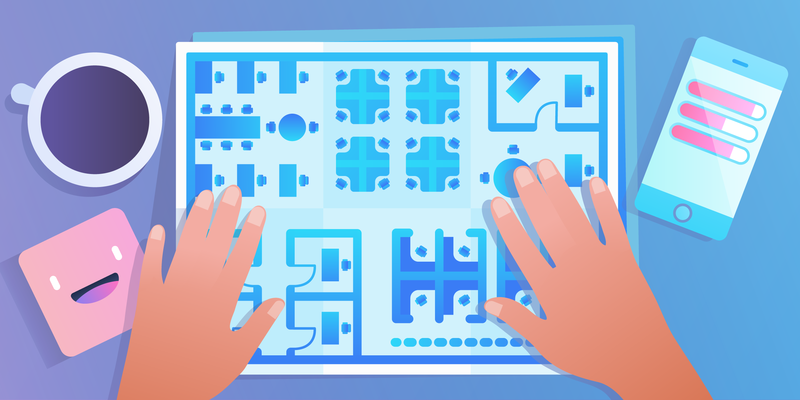 As Trello becomes an essential tool on these teams, you've asked for more power over your boards and data. Today we are enabling that extra control with the launch of Trello Business Class. What’s in the box? 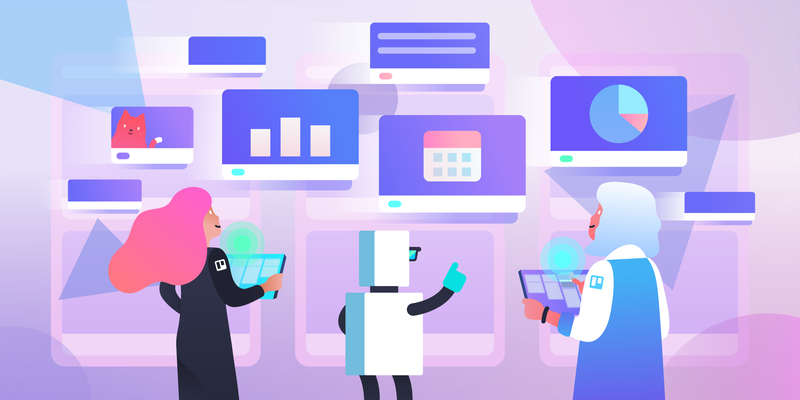 All the power of a Trello team with unlimited boards plus extra features like Google Apps integration, extra administrative controls for boards and members, one-click bulk data export, and a new, view-only observer role. Go upgrade your team to Business Class now! 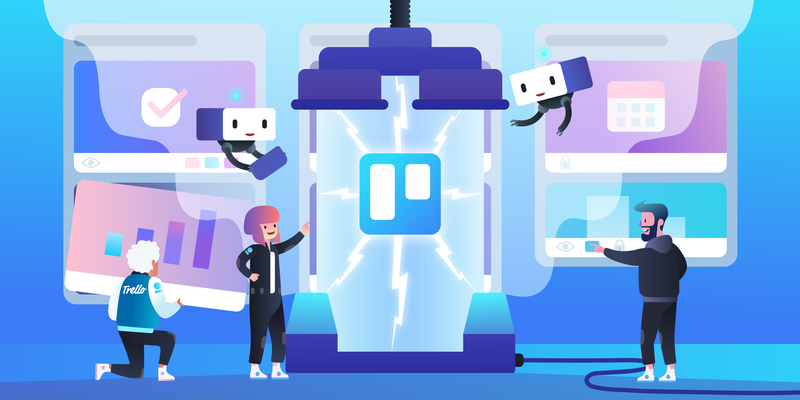 With Business Class, you can connect your Trello team to your business’s Google Apps account. On the Members page, you’ll see who on your team has an account. If they aren’t on the team yet, you will be able to add them with a single click. Since there are no member limits, you never have to worry about paying more for each new member. 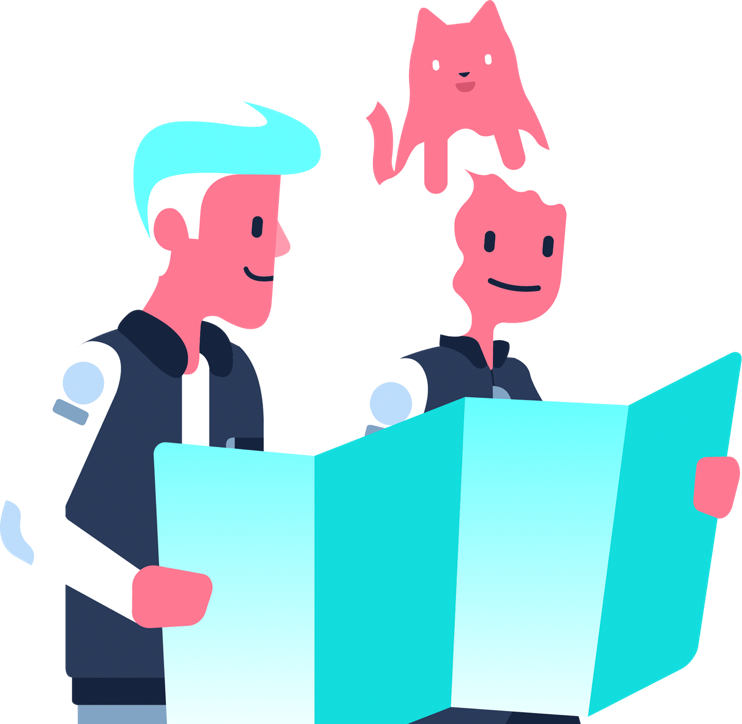 Choose which email domains can be invited to your team. 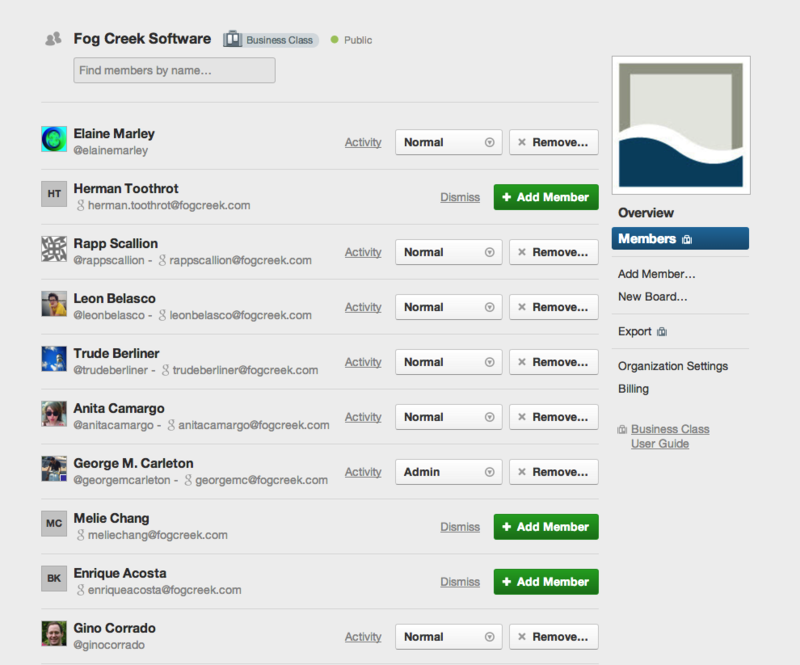 For example, if you only want Trello users with a fogcreek.com email address to join your team, you can configure that on your “Team Settings” page. 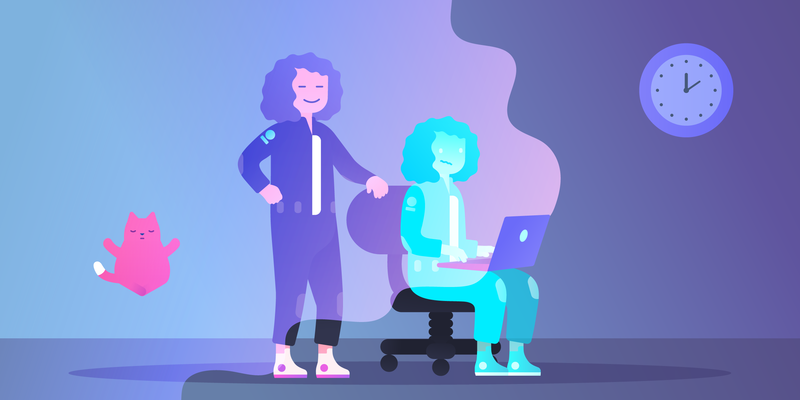 You are also able to restrict board visibility, so that, for example, you can prohibit the creation of public or private boards on your team. As a team admin, you are able to see and edit all team boards, even if you are not on the board. You are also be able to see all private boards in your team. We’ll bundle all of your team data and make it available with just one click. You can choose to include attachments or just have a link to them. The data will be in JSON format with the attachments in their native format. Observers are board members that can view the board, vote, and comment, but are not able to edit, move, or create cards. 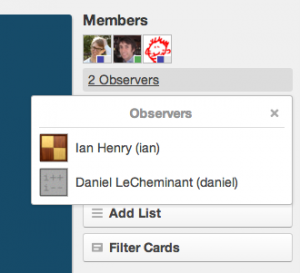 The addition of observers lets you share private team boards without sacrificing control. It’s ideal for freelancers or contractors that don’t need or shouldn’t have full control of the board. With the new Members page, you get more insight into member activity. You are able to see when a member was last active in the team and which boards they are on. You are able to see what team cards they are assigned to. You also have the ability to deactivate members. This means they will lose access to boards in the team, but other team members will still see the members in a faded state on their boards and cards. This is useful for divvying up tasks after a member leaves a team. 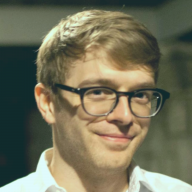 Trello is still free. 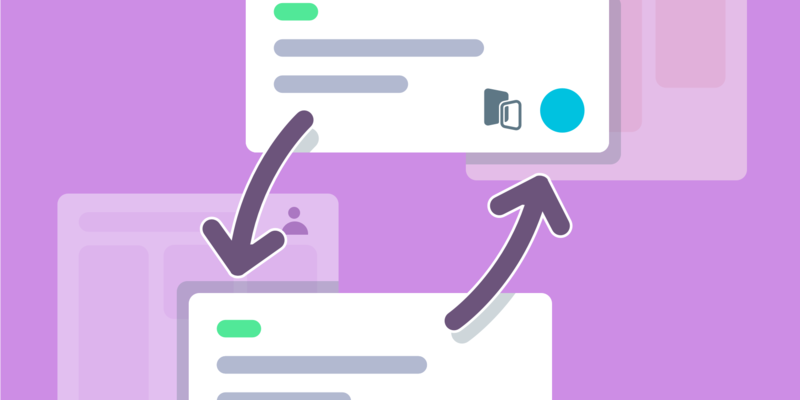 As before and as always, you still have access to unlimited personal boards and your teams can have an unlimited number of members with your free Trello account, with or without Business Class. Business Class provides teams the extra administrative control they need at a simple and reasonable price. Okay, that’s just about everything! Now go upgrade your team! Be sure to follow us on Twitter, Facebook, and Google+, and let us know what you think!